I think muffins are the perfect answer when you are craving cakes. They bake much quicker than Large cake and give you the freedom to improvise by adding different ingredients in the middle of each one. I like to use the Ombar, chocolate they are made with delicious and natural ingredients, making hard not to eat the entire bar! The chocolate chips on top are optional but highly recommended 😊. Feel free to add some nuts to the mix such as walnuts or hazelnuts, and some dairy-free white chocolate for something even more indulgent. For the flour you can choose to use a plain flour if you are not gluten intolerant. As you may will notice the amount of oil in this recipe is very little compare to the rest of the ingredients. I like to use rapeseed oil for it’s neutral taste. For the flour you can choose to use a plain flour if you are not gluten intolerant. 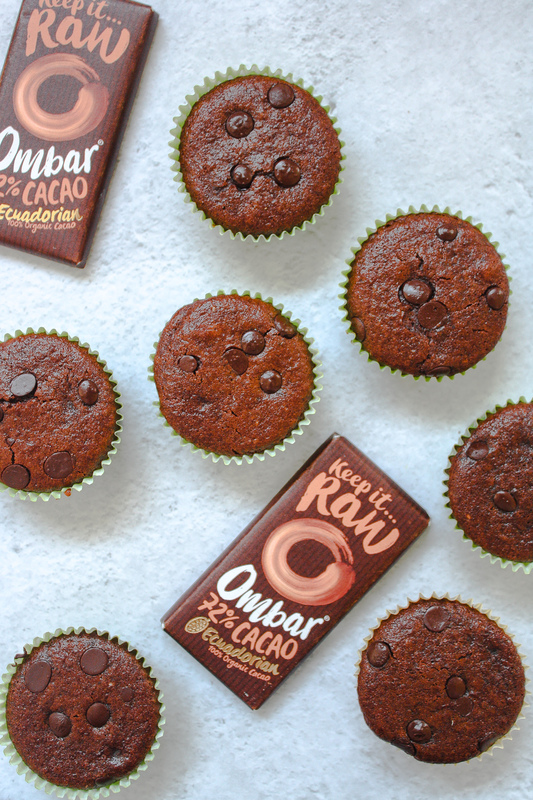 You can enjoy these Vegan & Gluten-Free Chocolate Muffins slightly warm with a cup of tea like I did 😉, or keep them in an airtight container up to 5 days. 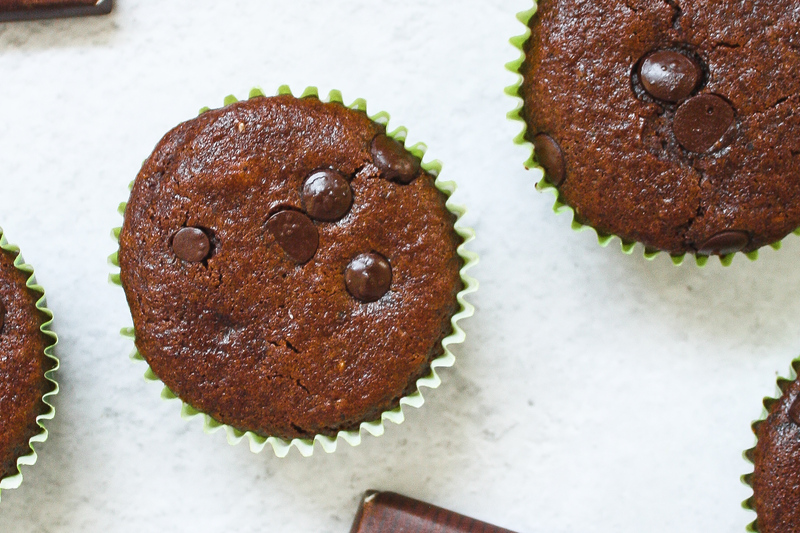 I hope you try and like these Vegan & Gluten-Free Chocolate Muffins, if so let me know! Share on Pinterest and tag a photo on Instagram #mimies_delicacies so that I can see your lovely creations as well as helping me reach more of you lovely people. Merci my friends! Fluffy vegan & gluten-free chocolate muffins that are made with 8 simple ingredients in less than 10 minutes! Mix well ensuring that no lumps remain. Transfer into your small muffins tins. Add some chocolate chips on top if desired and bake for 15 to 20 minutes. If you have made bigger muffins bake for 5 minutes longer.